The Copernicus Medal 2015 was awarded to Professor Ulrich Pöschl for his outstanding and pioneering work on aerosol multiphase chemical processes and aerosol–health interactions. Also, Pöschl’s contributions to open science through interactive open-access publishing and public peer review are recognized with the Copernicus Medal. 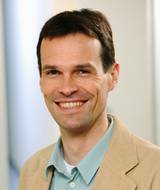 Ulrich Pöschl, Director of the Multiphase Chemistry Department at the Max Planck Institute for Chemistry and Professor at Johannes Gutenberg University in Mainz, Germany, has been an advocate for open-access publishing for many years. In 2001, he was among the founding editors of the open-access journal Atmospheric Chemistry and Physics (ACP) and one of the main drivers for the development of public peer review. The Copernicus Medal was presented to Pöschl at a ceremony during the annual General Assembly of the European Geosciences Union (EGU) in Vienna last week. Martin Rasmussen, Managing Director of Copernicus.org and treasurer of Copernicus Gesellschaft e.V., valued the very good and fruitful collaboration with Pöschl in the last decades. In his laudatory address, Thomas Koop, co-editor at ACP, pointed out Pöschl’s achievements as a scientist in multiphase chemistry and as an advocate for open access. The award ceremony was followed by a medal lecture entitled “Multiphase Chemistry and Open Access at the Interface of Earth and Life Science”. The Copernicus Medal is awarded annually by Copernicus Gesellschaft e.V., the exclusive partner of Copernicus.org, to a colleague still in the midst of his/her scientific career. The purpose of this medal is to recognize individuals with outstanding and innovative scientific achievements in geosciences, planetary sciences or space sciences who have also accomplished successful work in the promotion of international scientific collaboration. See the press release by the Max Planck Gesellschaft. Watch the award ceremony and the medal lecture. Visit the journal Atmospheric Chemistry and Physics (ACP). 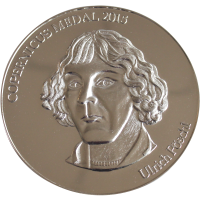 More information on the Copernicus Medal.